As they say in horse racing and in blogging, “It is now post time!” It’s not everyday that we see a 5-Star horse, however, GigMasters’ co-founder Kevin Kinyon witnessed this image on our home page the other day. And with all the hype surrounding “I’ll Have Another” and his quest for the Triple Crown at the Belmont Stakes on Saturday, it’s about time a horse gets the spotlight for a change (humans get all the love). 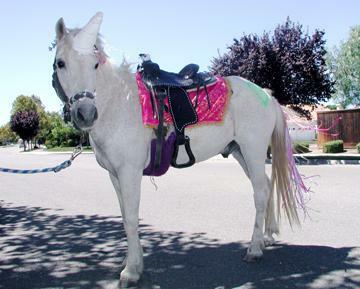 This spectacular image is from Tickle Me Pony Parties And Traveling Petting Zoo’s profile page. They've been on GigMasters since 2009 as a California-based kids party company that offers petting zoo services and pony rides. We also stumbled upon this gem on the Man Registry on a summer wedding blog post. 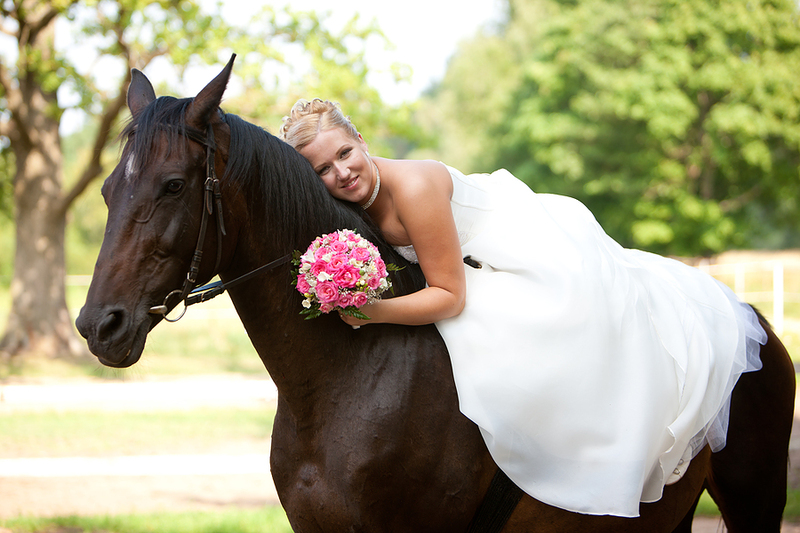 Bonus horse photo! And how about one more, why not? 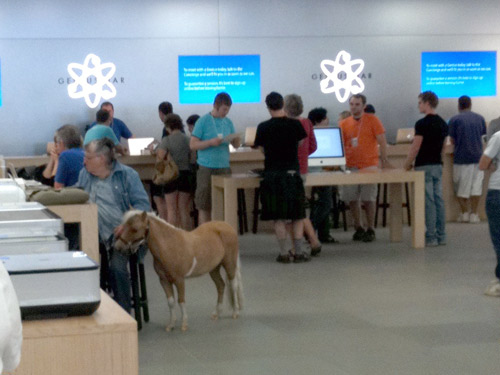 Here's a mini horse at the Apple Store, courtesy of Buzzfeed's "32 Pictures You Need To See Before You Die." Yes, these photos are pretty random. But with the big race coming up, you have to admit, it's good timing at least. Enjoy the Belmont, and may the best horse win!